If updating your home is something that you’ve always wanted to do have you stopped to think about what it would really take? Home renovations are not always easy, but they are often a great way to increase your home’s value and transform your space into the place you’ve always dreamed of. However, keep these considerations in mind before you hire a contractor to begin the renovation process. If you already have an idea in mind, it’s wise to perform some research to find even more inspiration. This can help your contractor visualize your ideas to come up with the best possible end result. Also, you may find that your thoughts may not work for the specific renovation you’d like done. Without a budget in place, home renovations can quickly get out of hand. Decide ahead of time how much you can afford to spend, and try your best to stick to it. While today’s trends are beautiful and fun, it may be smarter to consider whether that trend will stick around into the future. Going with the classics may be a better bet. 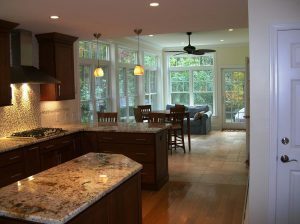 Often, a renovation takes longer than a homeowner anticipated. Do you have a certain timeline that you need to stick to? If so, be sure to budget in enough time to get the job done correctly. Getting advice from professionals is especially important if you have never completed home renovations before. A general contractor can walk you through the process and what you can expect. Plus, a professional can let you know if your dreams are realistic, or if you should scale them back in order to get a better end result. If you’re ready to begin a renovation of your home, be sure to consider the above before you dive in. Once prepared, you’ll be ready to take on the task and enjoy a beautiful change.